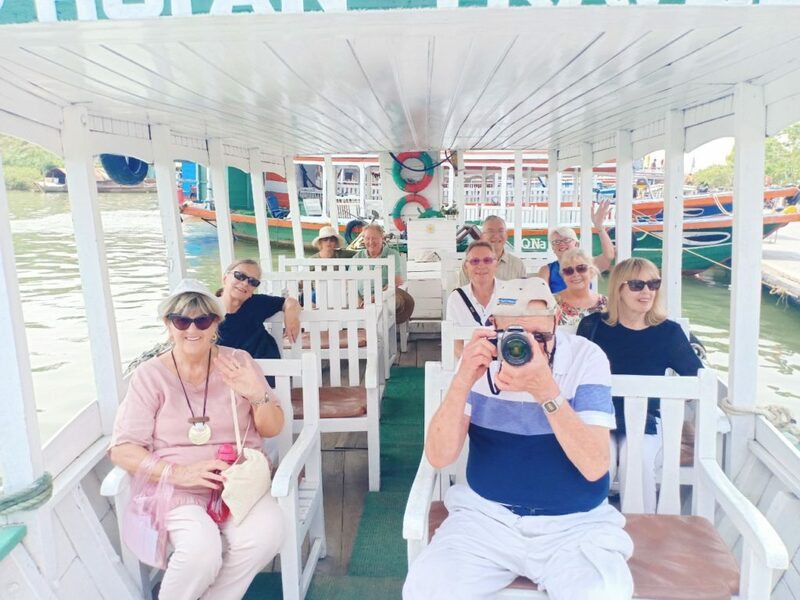 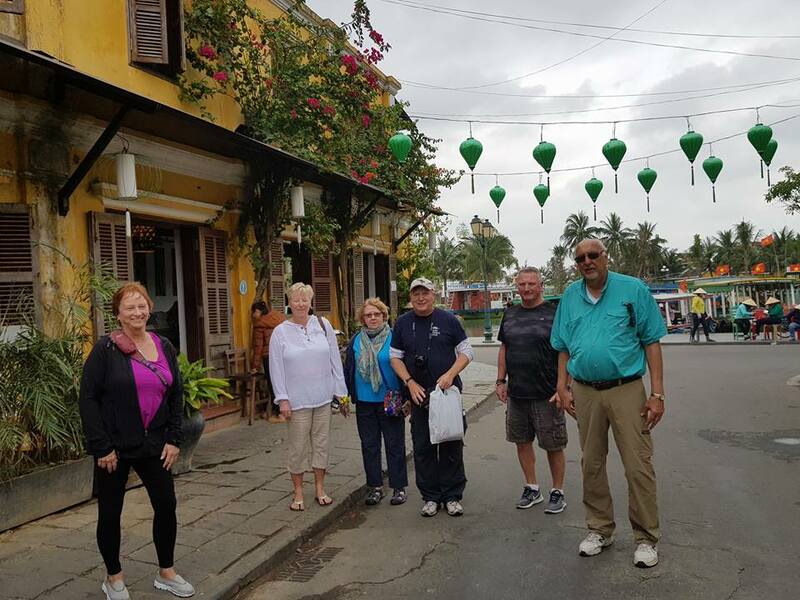 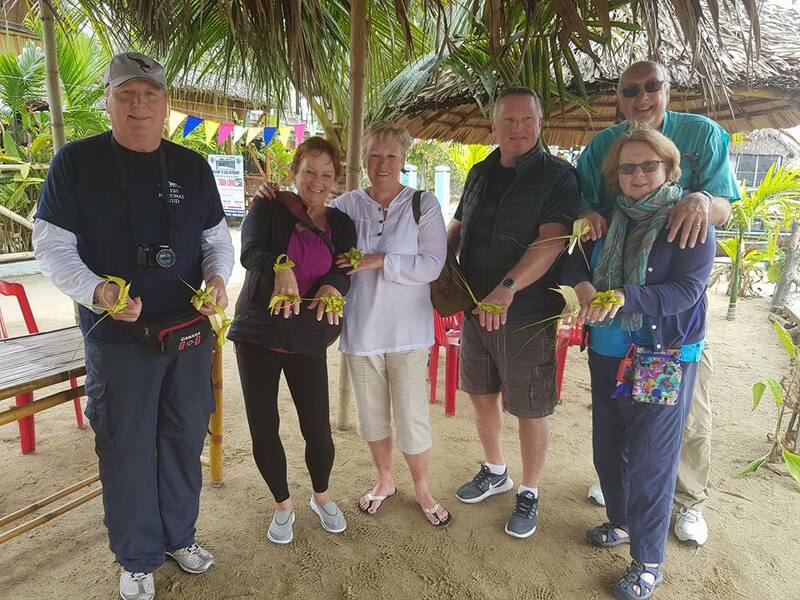 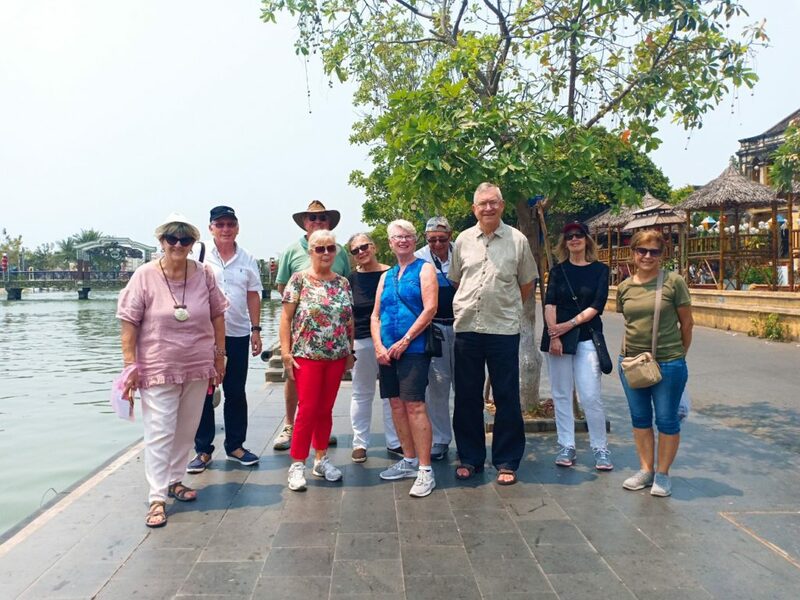 Our tour guide and driver will pick you up outside Tien Sa Port or Chan May Port to avoid port fees ( Time to pick up as your cruiseship schedule and You walk about 10 Minutes out of Tien Sa Port or Chan May Port to meet our guide. 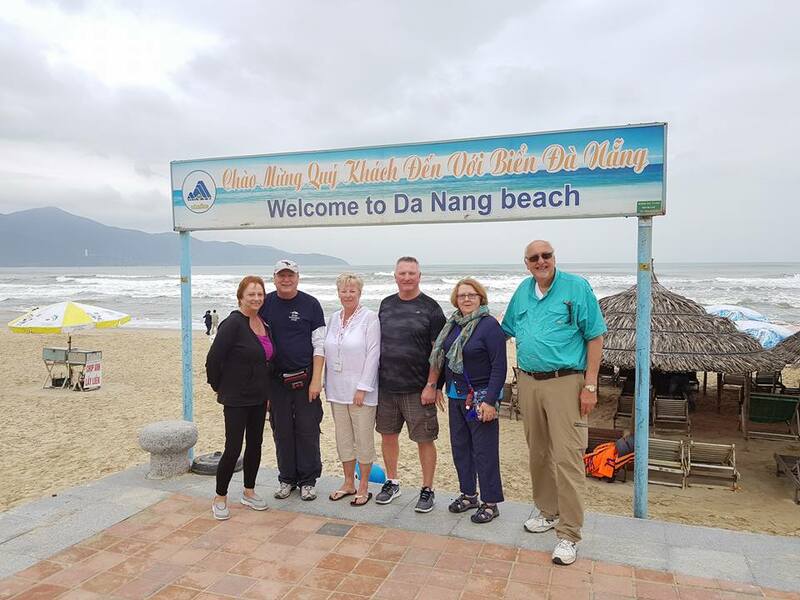 He’s holding a sign board with your name on it. 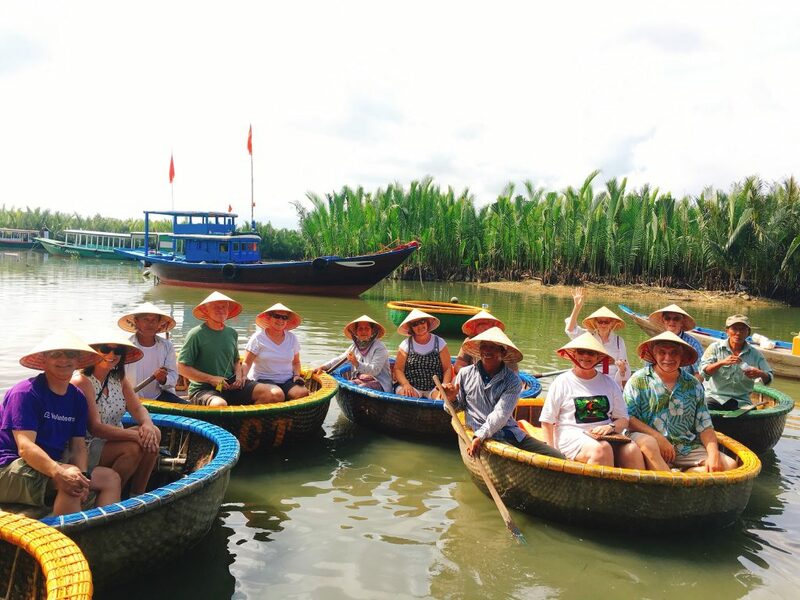 Depart for Hoi An and then Cam Thanh Village. 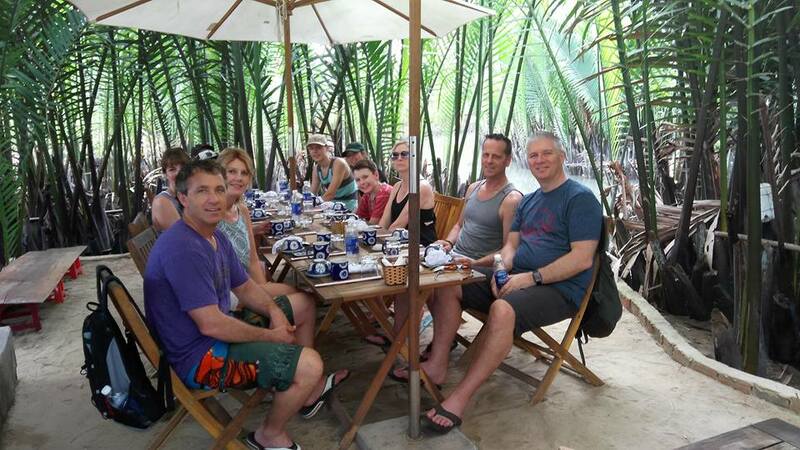 You will be Warmly welcomed by a local family of 3 generations with green tea. 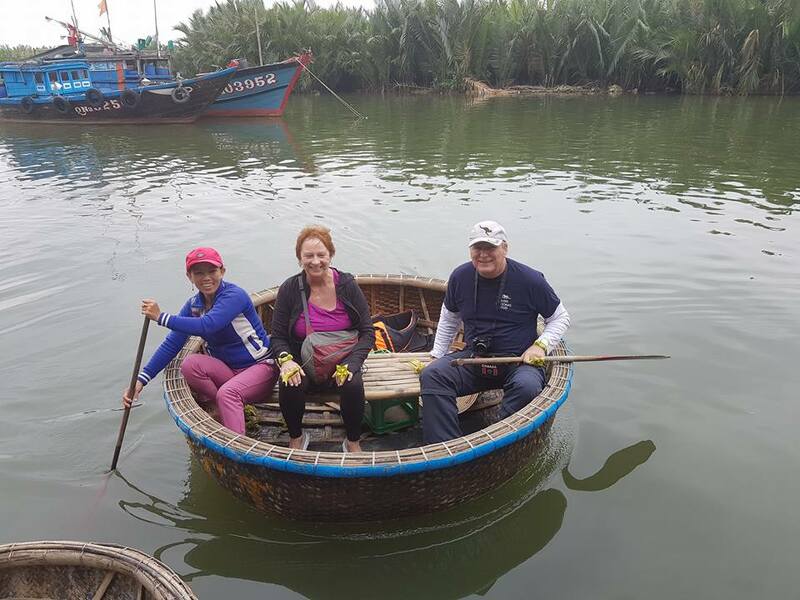 Then enjoy rowing a basket boat with the help of skillful local people, learning their traditional fishing techniques in the water coconut forest. 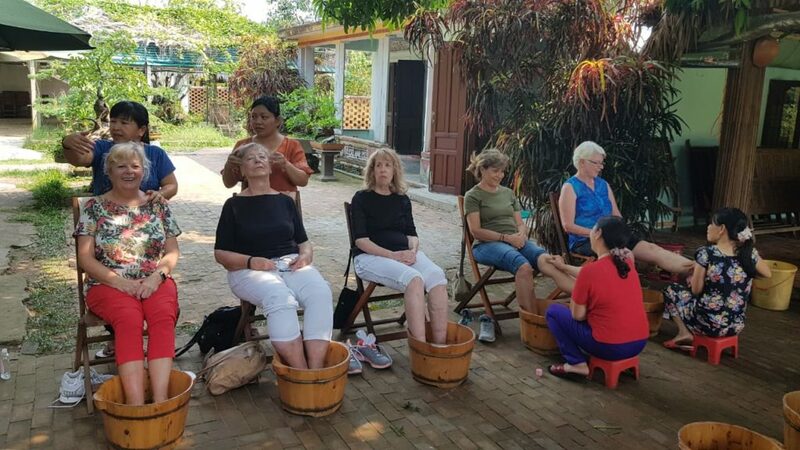 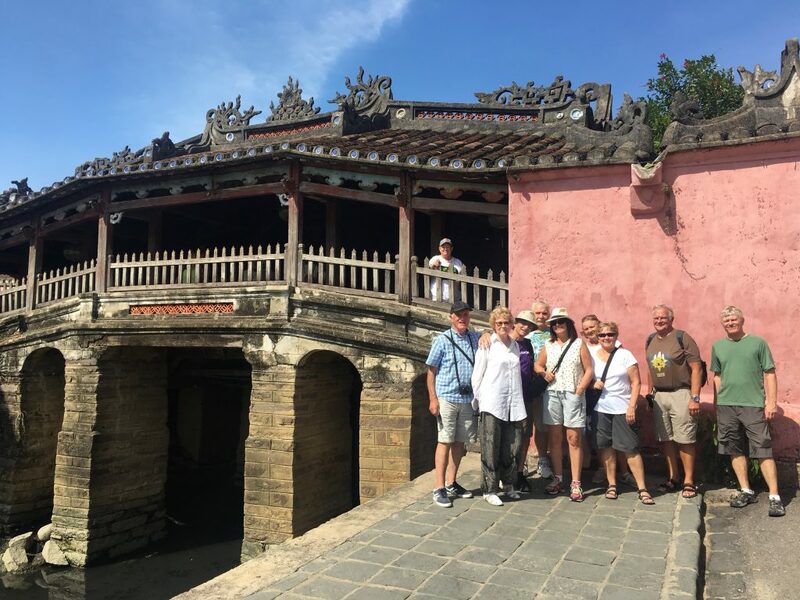 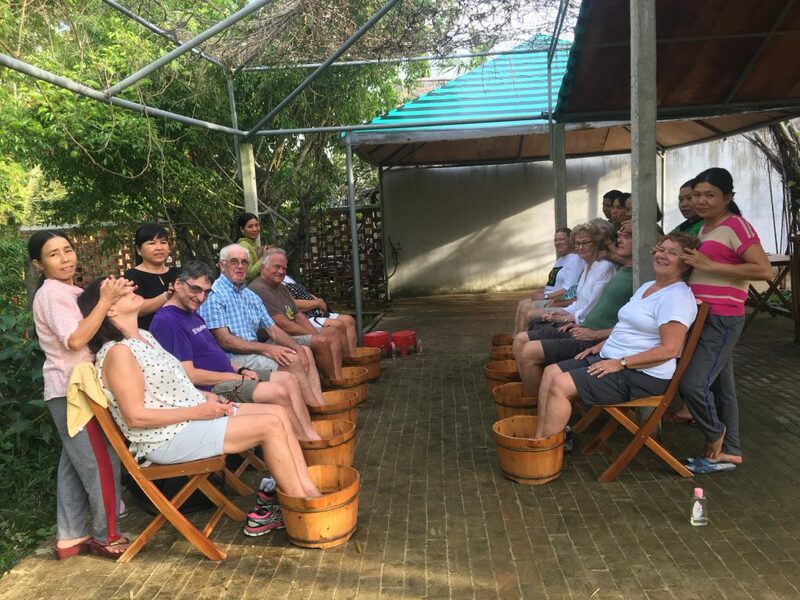 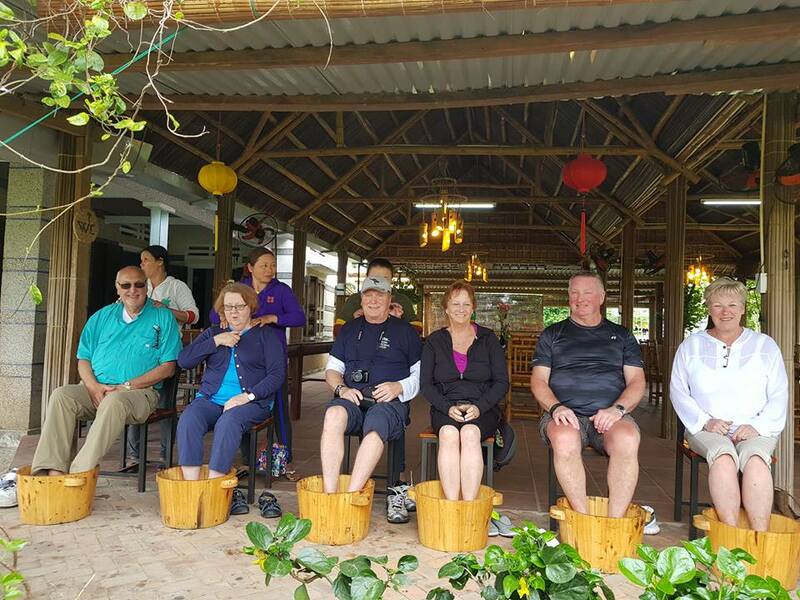 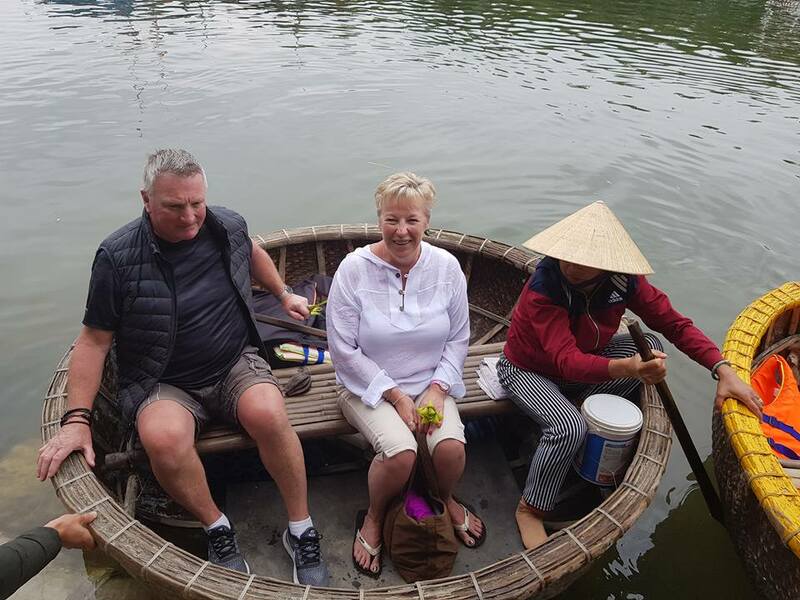 – Leave Cam Thanh Village for Hoi An Town to take a leisurely walk to see a Japanese Covered Bridge, Tan Ky Ancient House, Hoi An Cultural and Historical Museum, Chinese assembly hall, Local Market. 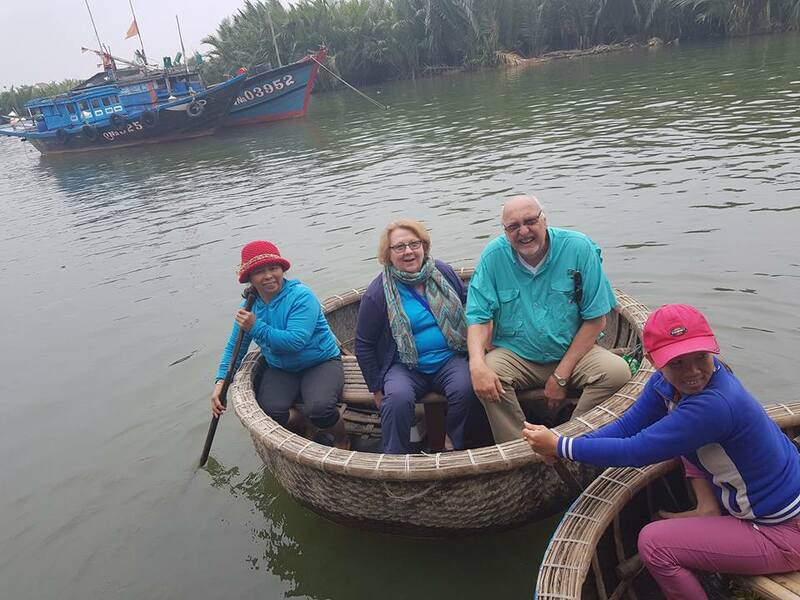 Then You get on local Boat to go to Thanh Ha- a pottery village. 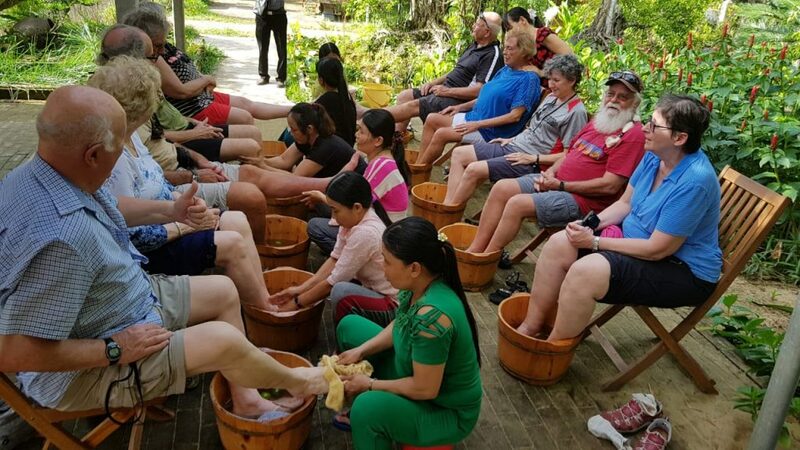 See how craftsmen making their products and enjoy the peace of the village. 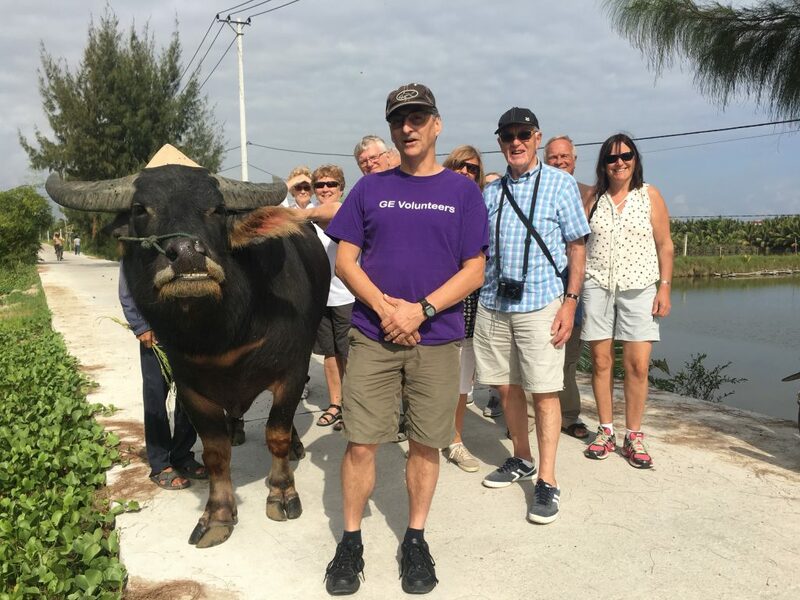 Next stop will be a rice paddy field to take photos with water Buffalo or you can ride on water Buffalo and learn how to keep balance on Water Buffalo. 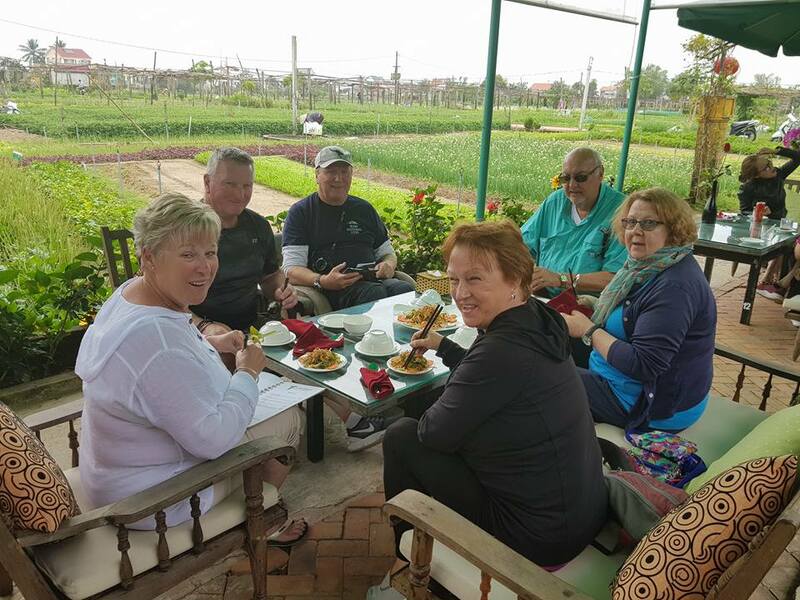 After that pay a visit to a local family house for lunch with local Authentic Food ( Rice Pancake, Spring Rolls, Steamed Shrimp & Pork, Mackerel Barbecued Fish, Morning Glory cooked with Garlic, Steamed rice, Seasonal Fruits ) . 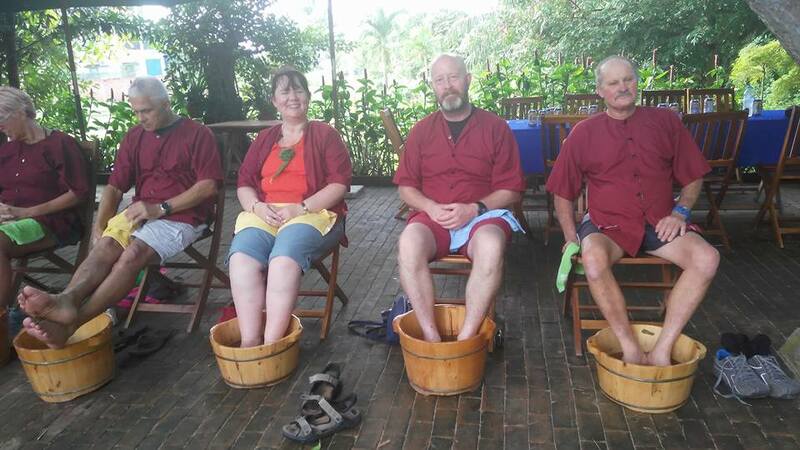 Then you will enjoy a traditional therapeutic foot bath with medicinal herbs and massage. 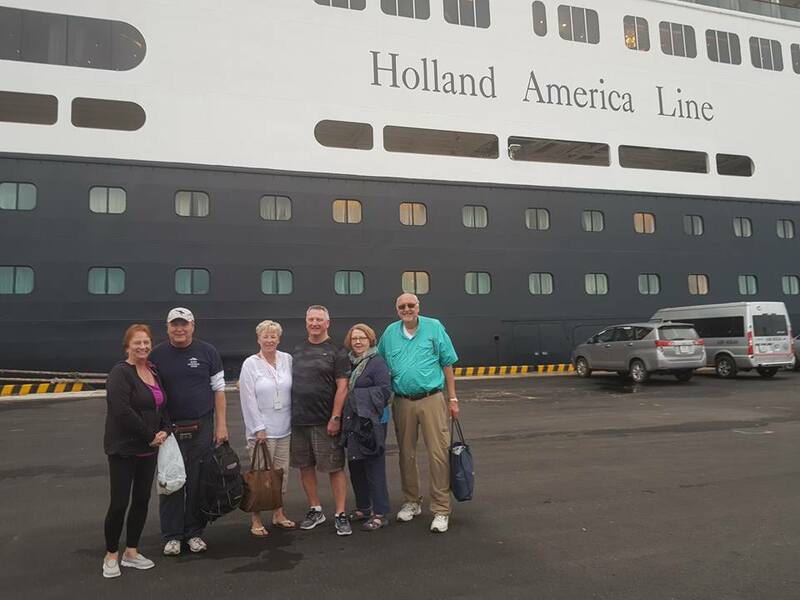 Tour ends with drop-off at the cruise ship port . 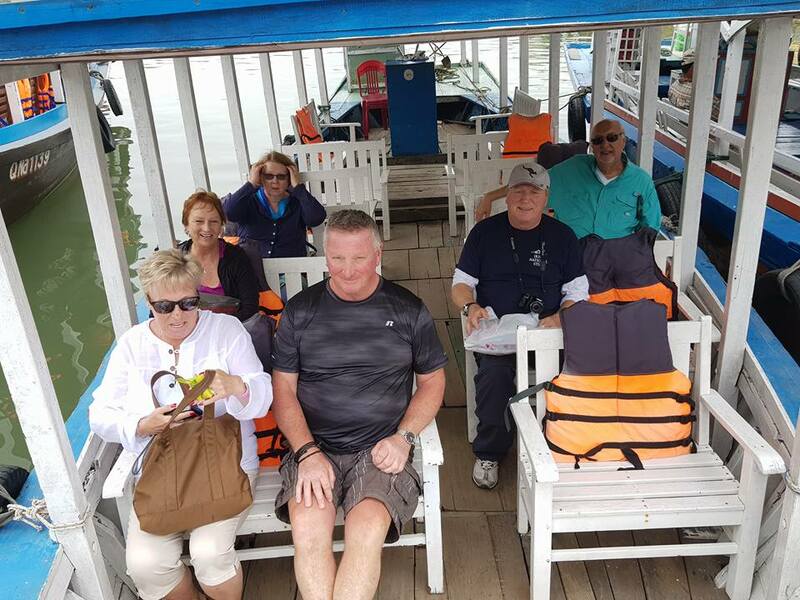 Car, local guide, entrance fees, lunch, river boat, foot massage. 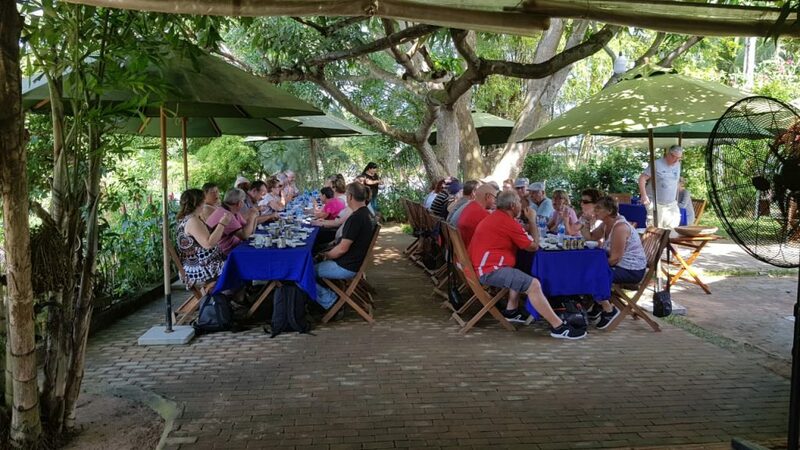 Tour excludes: Drinks and other services.